Are You Ready For Some (College) Football? It’s that time of year again…the dog days of summer are on the wane, the kids are back in school, and everyone is coming out of the summer routine. And, most importantly, it’s time for college football. Last year, my Georgia Bulldogs had a rough season. 6-7. Coach Richt wound up on the hot seat, rightly so or not, and the Dawgs fan base was up in arms. I have to admit, I didn’t have a good feeling going into last season, and I was still greatly disappointed. But that was last year. This is a new season! Tomorrow night, the Dawgs face off against Boise State in Atlanta in the season opener, on a national stage. 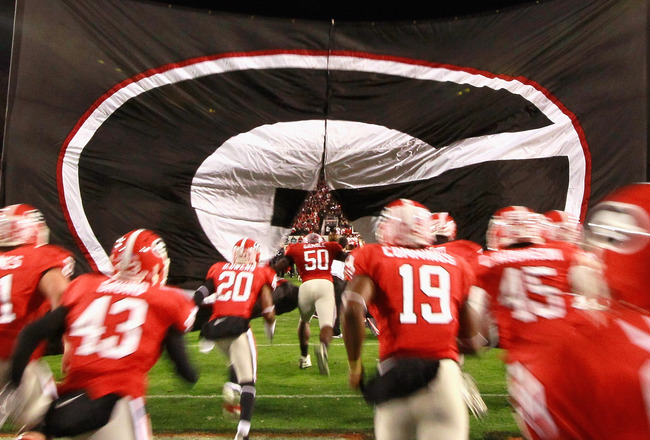 It’s a big test to start the season, as the Dawgs take the field against a really good, though a bit overhyped, team. I’ve got a good feeling about the game and about the season. I really believe the Dawgs are back. And I can’t wait! Happy College Football Season. Looks as if the “Dog’s” are going to have another rough year. I see this as the coaches last year. They will have their hands full against Spurrier and the Gamecocks next week IF Garcia shows up again as he did in the ECU game after being beached for the first quarter and a half. ECU is not a push over team but they got over confident with their 17-0 first quarter lead. They forgot that SC loves to play second half ball and will tear you a new one if you let down for even one tick on the clock.